GOWER, Mo. (AP) — Eight times a day, a group of nuns files into a chapel in their rural northwest Missouri monastery to chant and worship. Quite unexpectedly, this private, prayerful pursuit has made the Benedictines of Mary a chart-topping recording industry curiosity. After being named Billboard's No. 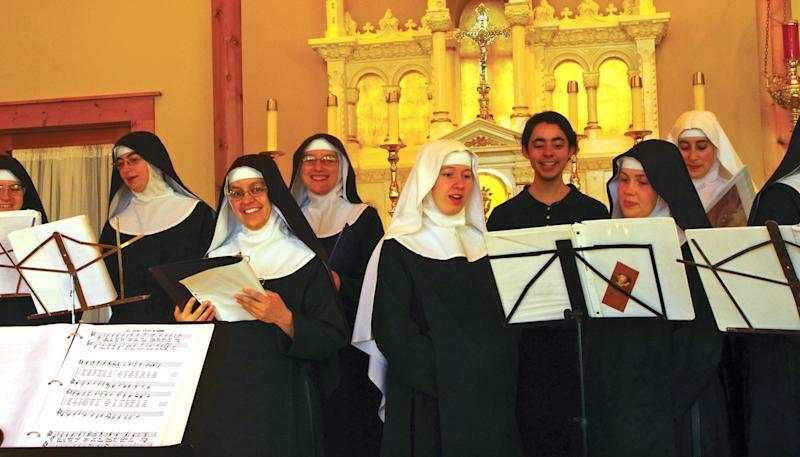 1 Classical Traditional Artist of 2012 and 2013, the nuns released their third album, called "Lent At Ephesus," Feb. 11 on the De Montfort Music/Decca/Universal Classics label. 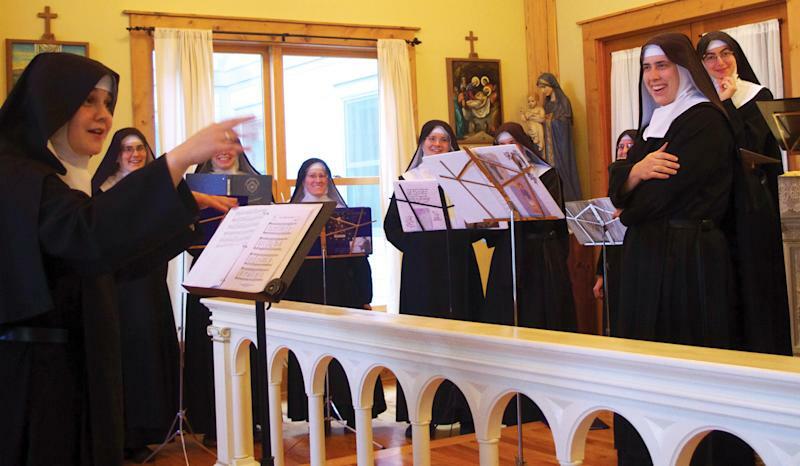 Matt Abramovitz, program director for New York classical radio station WQXR, which has featured the new album on air, said the station didn't know what to make of it when the nuns' first record arrived. "They're not professional singers," he said. "They aren't singing traditional classical repertoire, which is what we normally play, but we gave it a listen, and we were stunned by the quality of the performance and the sincerity. And they really were a hit with our audience." The latest album includes a capella chants, intricate harmonies and hymns of glory and redemption, all designed to capture the Christian season of preparation before Easter. How this album and the nuns' earlier releases — "Advent at Ephesus" and "Angels and Saints at Ephesus" — came to develop a following among classical and religious music lovers is something the monastery's prioress can only explain in religious terms. "With God," said Mother Cecilia Snell, "all things are possible." The 22 nuns, with an average age of 29, live modestly at the monastery surrounded by about 280 acres of northwest Missouri farmland. They model their existence after life in the early sixth-century monasteries and still wear the black and white habits that were largely abandoned half a century ago. Few get a glimpse into the nuns' daily life, with the exception of visiting priests who come to the area to recharge. Unlike many U.S. nuns who devote themselves to public pursuits such as teaching or nursing, the nuns' main focus is chanting each of the 150 poetic works found in the book of Psalms at least once each week in Latin, a language Snell describes as "mystical." When they aren't chanting — the task consumes about four hours daily — they speak little so they can better focusing on communing with God. The sisters don't use the Internet, and Snell does so only in a limited way. Someone who had heard their chanting suggested they make a CD as a thank-you to benefactors. Snell, a former French horn player in the Columbus Symphony Orchestra in Ohio, acted as the producer. The pathway to a broader audience began when one of their recordings was given to Monica Fitzgibbons, general manager of De Montfort Music, based in Chicago, and tossed in a pile with other CDs. It might still be there if Fitzgibbons' young son hadn't asked to listen to it. Fitzgibbons, a former DreamWorks executive, and her husband, Kevin, a former Sony executive, were hooked. "We know how to hear things in their raw state, and we found it beautiful," Monica Fitzgibbons said. So the couple arranged to record the nuns at their monastery. The nuns receive prayer requests and notes of thanks from listeners. One recent letter came from a woman who described playing the nuns' music as her husband was dying and talked about the comfort it brought. The nuns also use the profit they make from the recordings to help pay off the monastery they moved into in 2010 outside Gower, a town of about 1,500 that is located about 35 miles north of Kansas City. Given that their existence is so isolated, Snell said the attention the music is receiving is the "last thing" she thought would happen when she became a nun. The decision meant giving up her hard-earned spot in the symphony, which she said had given her "a little taste of the beauty of making music with others." Ultimately, though, playing with an orchestra wasn't what God was asking of her, she said. "I know people were thinking, 'What is she thinking? She is crazy. She is throwing her life away. She is throwing her talents away,'" she said. "But that is not how God works. He takes that offering seriously and he can multiply it 100-fold, which seems to be what he is doing. It is all his plans, his providence."